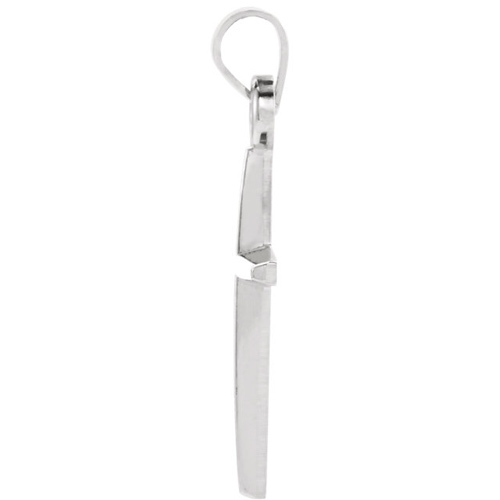 Slender, tapered cross is made of polished sterling silver. Item size: 25mm by 18mm. Weight: 1.28 grams. Bail fits up to a 2.0mm wide chain. 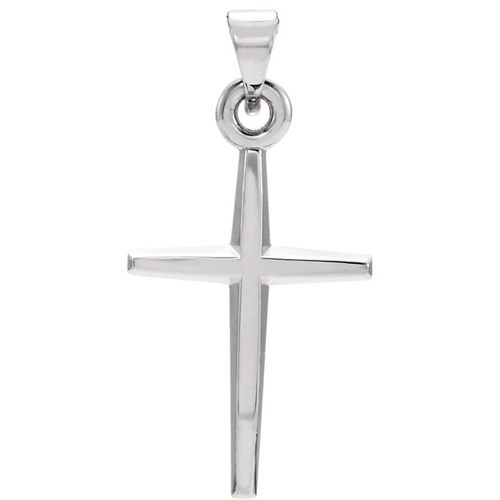 It's beautiful cross with a simple, elegant design, well made, with a highly polished finish.|The only quibble I might express is that the bail is rather small. While it fit my sterling silver necklace, it was a struggle to get it over the loop end of the clasp on the chain.